These Emoji Bath Bombs will make every bath time fun! Homemade bath bombs are super easy to make with kids and are sure to bring a smile and a giggle to bath time. 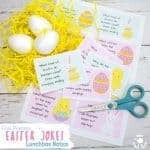 They make great homemade gifts too! 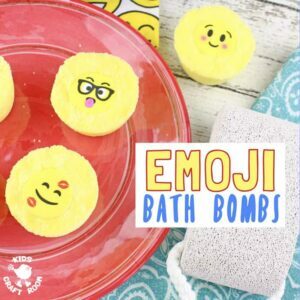 Why not let the kids make some emoji bath bombs as homemade gifts for friends too? 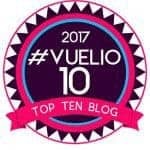 Are you wondering how to keep the kids engaged, playing and learning all Summer long? 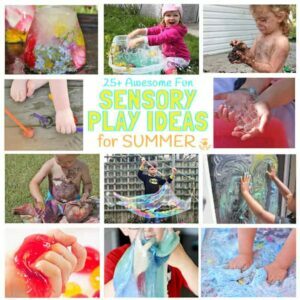 Look no further…we’ve got 25+ Fun Summer Sensory Play Ideas that are sure to be a hit with kids big and small. Sensory play is so important to our children’s development right from the word go. 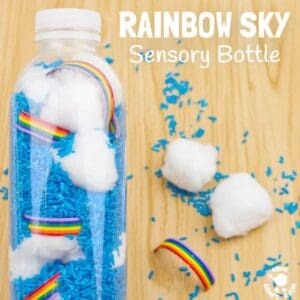 These Rainbow Sky Sensory Bottles are easy and thrifty to make and look gorgeous. They bring all that natural beauty and magic of seasonal changes around right indoors where it can be enjoyed close up again and again. 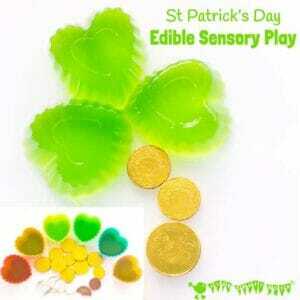 Your children will have an awesome time celebrating St Patrick’s Day with this colourful edible sensory play activity. They’ll love getting hands on exploring giant wibbly-wobbly shamrock leaves and tasty chocolate treasure from the end of the rainbow! 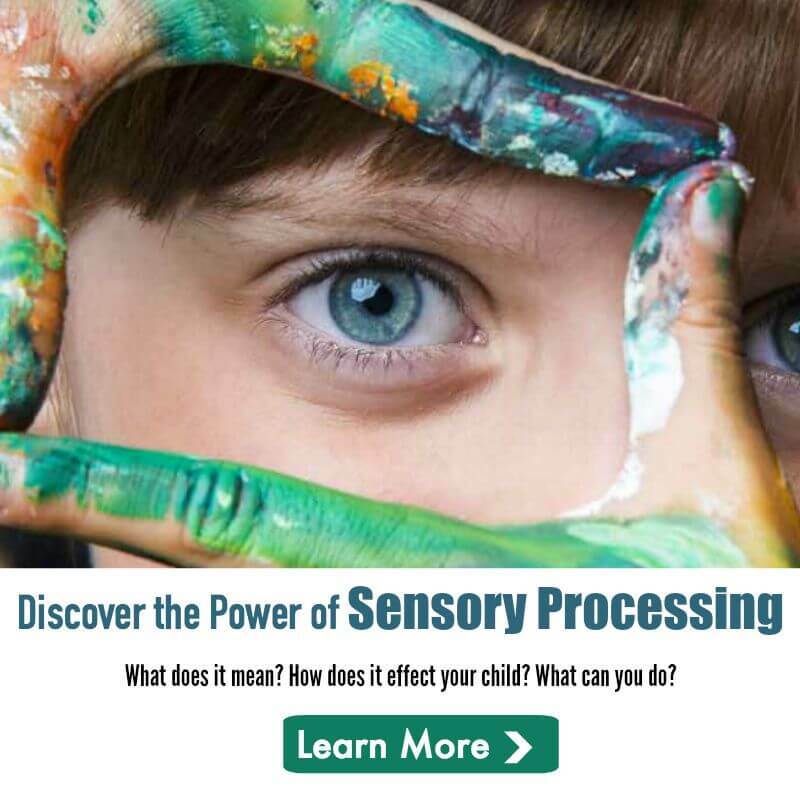 We’ve got lots of tips on how to support kids sensory learning too. 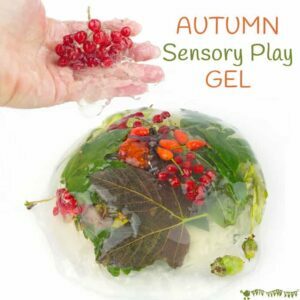 Your kids are going to LOVE exploring Autumn Sensory Play Gel. 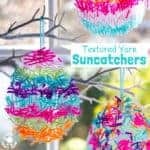 It brings together all the sensory wonders of Nature into a squishy, squashy textural delight that kids will want to explore again and again! 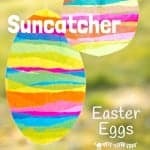 It’s irresistible hands-on play that’s super engaging and offers so many learning opportunities. 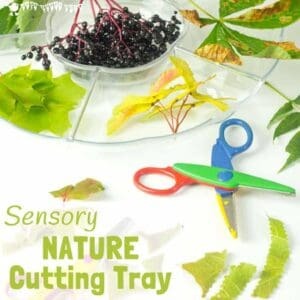 This Sensory Nature Cutting Tray is such a fun activity for kids! 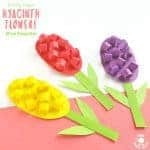 It’s a great way for them to engage with nature, stimulate the senses and develop fine motor scissor and sorting skills too. How much fun does “Art You Can Eat” sound? 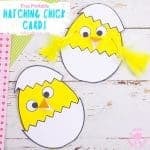 Your kids are going to be so excited to see what we’ve been up to this week! 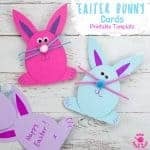 Think vibrant colours, think tasty sweet treats, think rainbows! 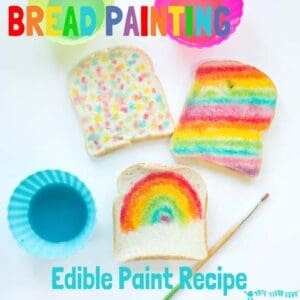 Come and check out our newest EDIBLE PAINT RECIPE and get the kids busy creating their own RAINBOW BREAD MASTERPIECES. Fall is full of so many exciting things from Nature for children to explore. 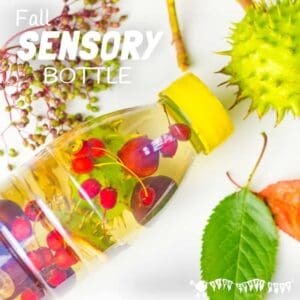 We can easily let babies and toddlers get hands on with all the wonderful colours, sounds, shapes and patterns of Fall safely with these easy to make Fall sensory bottles.